The highest level of description is used to broadly categorize observations of quality. 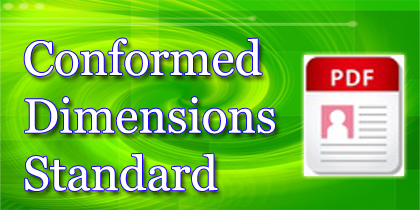 The second level is used to break out the distinct components of a dimension. The third level is a metric which quantifies a specific aspect of a concept. 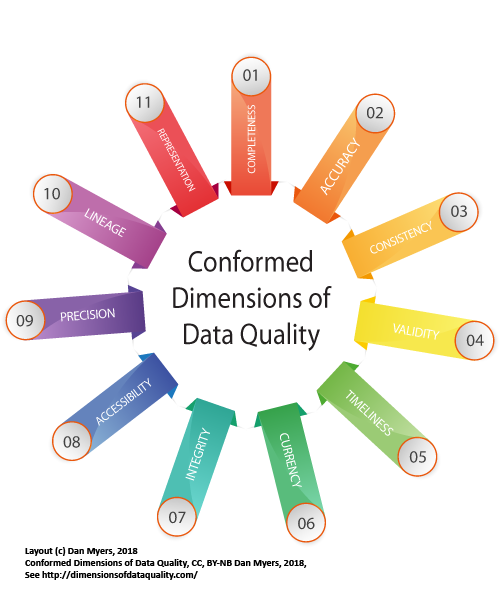 Starting with the release of the 2018 Annual Dimensions of Data Quality report (10/2018), the Conformed Dimensions of Data Quality now includes example metrics. One metric per Underlying Concept has been provided, with the goal to add more over time- based on your contributions. Please send additional examples to the CDDQ steward, Dan Myers, via email dan[at]dqmatters[dot]com. Please provide feedback directly to Dan Myers (email above) or start a discussion on LinkedIn via the CDDQ Group. Copyright © 2017 DQMatters.com. All rights reserved.